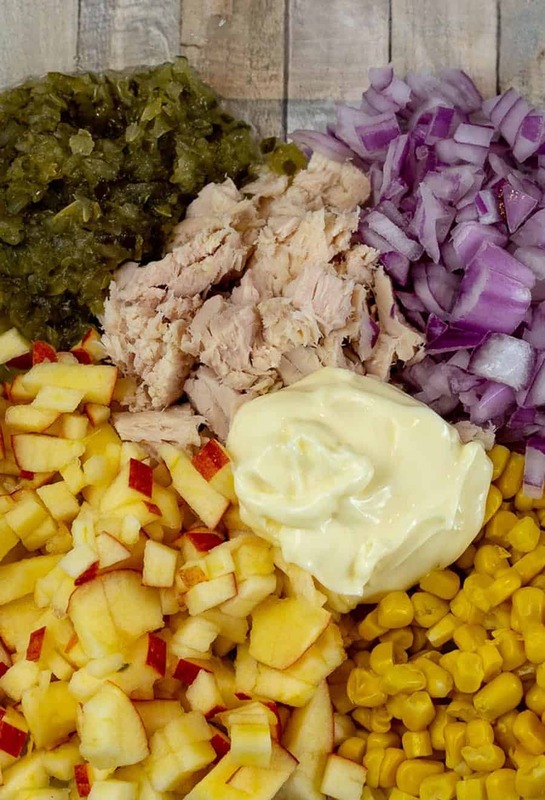 You are going to love this tasty, easy tuna salad recipe with only 6 ingredients. 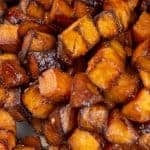 Perfect on a gluten free everything bagel! 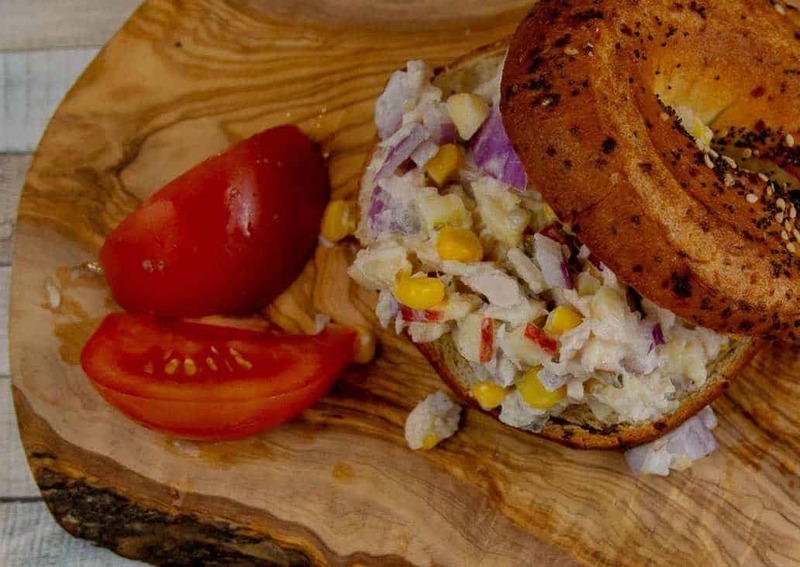 There are so many, many variations of tuna salad. And we’ve tried quite a few (we also like this protein-packed tuna salad recipe version with boiled eggs), but most of the time we go back to this version I created a few years ago. The great thing about this recipe is that it’s budget-friendly. And we pretty much always have everything on hand. 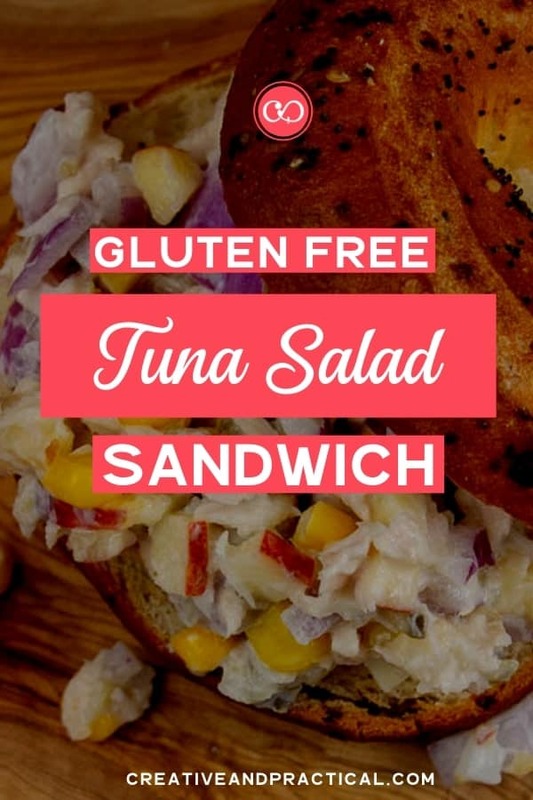 With only six ingredients (you probably have on hand), this tuna salad recipe is perfect option for a quick lunch. Open canned tuna and drain excess water. Open sweet corn and drain liquid. Core and dice the apple. Next chop the red onion. 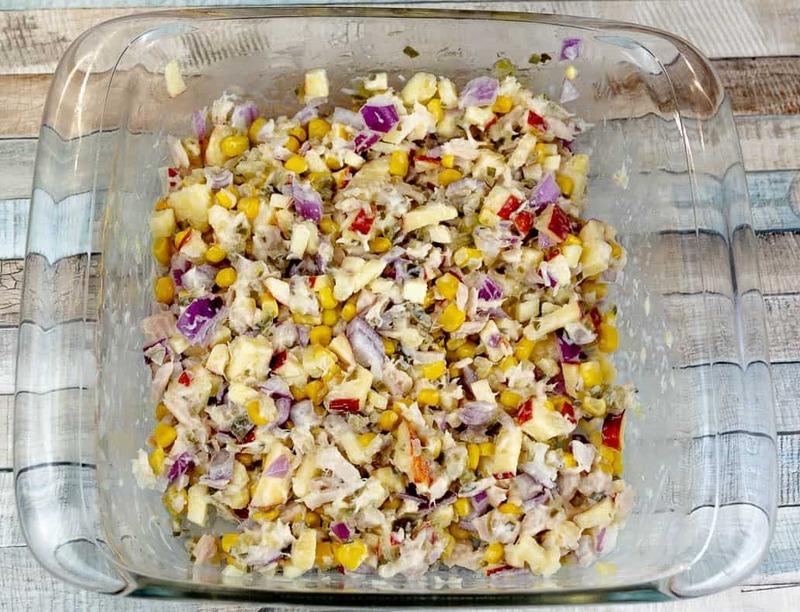 In a large mixing bowl (or this Pyrex Storage Container) combine tuna, red onion, apple, sweet corn, apple, sweet pickle relish. Add mayonnaise. (you can add salt, but I find it unnecessary). Mix well. Toast your gluten free bagel (or gluten free sandwich bread). Add tuna salad mixture. 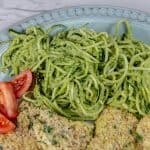 Serve with a slice of tomato or cucumber. Bonus Tip: If you want to cut down on calories, you can substitute Greek yogurt for the mayonnaise and it’ll still be yummy. And I’ve also made the tuna salad with 50/50 ratio of mayo and Greek yogurt. It works really well, too. At the end of the day it’s really your own preference that counts. But if you’re like us and like to splurge now and then, you’ll enjoy the tuna salad with mayo. 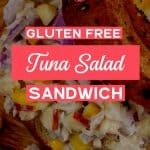 6-ingredients tuna salad gluten free sandwich with a couple of sliced tomatoes. Just a quick prep tip. 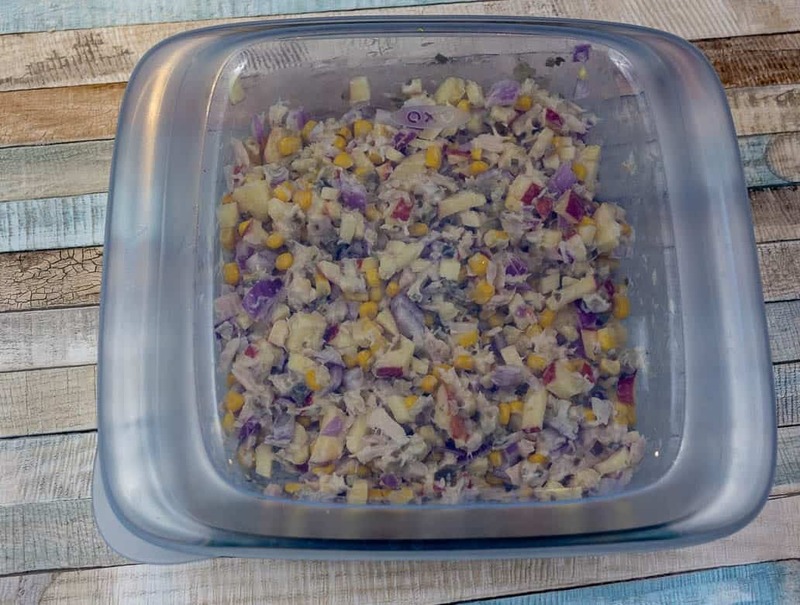 Instead of making the tuna salad in classic mixing bowl and then putting it into a food storage container like this one, try making it directly in this Pyrex storage container with a lid. This way you’ll simply pop a lid on and the leftovers directly into your fridge. After years of struggling with hypothyroidism and weight gain, I am still amazed how ditching gluten has had such a positive impact on my weight and my life. And be sure to hashtag your recipe pictures #creativeandpractical on Instagram, Twitter, or Facebook. 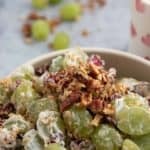 I love to see your tuna salad recipes! Maike you are very creative, I never thought of adding apple and sweet corn. Thank you, Michelle. It’s been a family favorite for years. Hope you enjoy it. We’ve made this twice now and loved it! Thanks for sharing!